With 20 years’ experience in game design and product management, Phil is CEO at Jagex, home to RuneScape, a living game that has welcomed over 250 million player accounts in its lifetime. 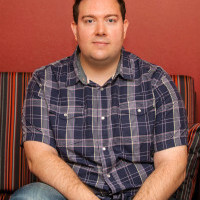 Under Phil’s leadership, the RuneScape franchise has enjoyed a resurgence, powered by community-driven development and with moves into competitive gaming and mobile. Today the franchise exists beyond running multiple games in live operations; RuneScape titles are rich, deep and engaging living games that connect and inspire millions of players with content and experiences both inside and outside of their inexhaustible game worlds. Jagex is now expanding and extending its portfolio with fresh franchise titles and new IP to bring life to the living games of the future. Through 17 years of operating one of the world’s largest free to play MMORPGs, Jagex has gained first-hand experience of how a focus on elevating the importance of player engagement and empowerment can drive an increase in loyalty and retention – RuneScape’s average active player lifetime is over seven years. Jagex’s CEO, Phil Mansell, will discuss how to nurture player engagement to drive player investment and how to bond a community of players through shared experiences for long-term retention. From the winners of the Community Management Award at the MCV Awards 2018, discover how to cultivate fandom within a gaming community, how to stoke its passion, and the essential ingredients, both inside and outside of the game experience, that contributes to player loyalty. How to transform a live game service into a living game. How to support and encourage your most enthusiastic fans. How a deeper emotional connection between game makers and players delivers more advocates. How to scale community engagement and empowerment, no matter what size player base.